Predominantly used during medieval times in cathedrals and churches, stained glass windows to evoke grandeur as well as to tell stories to the observer, usually biblical ones. 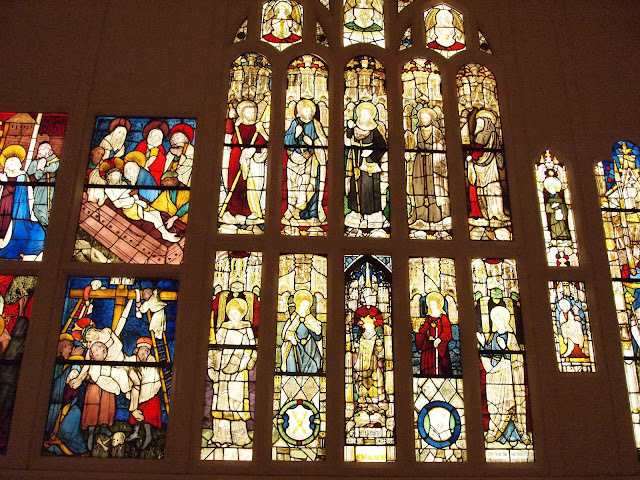 The techniques to created stained glass were described by a 12th century German monk, Theophilus, in his book On Diverse Art. The use of stained glass became prevalent between 12th and 16th centuries.